A generic architecture for real-time personalization that explains the flow of data and application functionality, highlighting important Redis calls, methods, and data structures. An annotated set of pseudo code that illustrates how elegantly and compactly real-time personalization can be written in Redis. 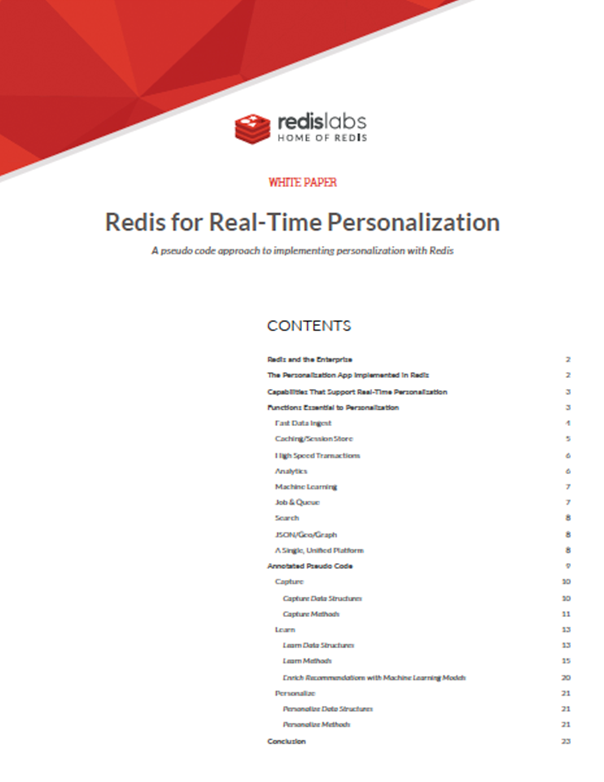 Commentary on the aspects of the Redis enterprise platform crucial to supporting real-time personalization.